TNT Tuesday: Strike up Some Fun! Name: TNT Tuesday: Strike up Some Fun! 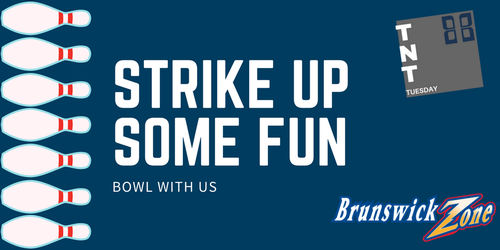 Join us at Brunswick Zone on May 1st for a night of teambuilding and networking fun with the business community. We encourage you to bring out your staff for some competitive action! This event is free for Brampton Board of Trade members. TNT is a great opportunity to connect with fellow members, community partners, and other local professionals.